If a picture is worth a thousand words, then a video must be worth a million. 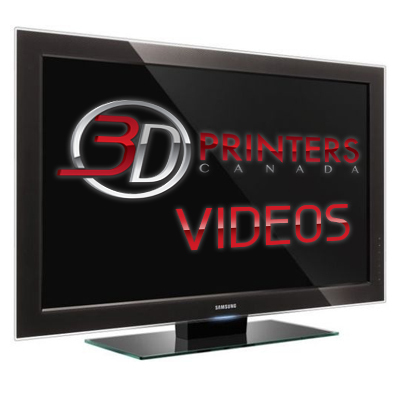 Welcome to 3D Printers Canada's Video section where you can see right before your eyes the applications of Polyjet Technology. Watch video testimonials, product overviews, and Objet 3D Printers in action. With Objet's family of low-cost desktop 3D printers, designers and engineers can build true-to-life models and prototypes featuring ultra-precision details straight from the office desk. The Objet Connex Family of 3D Printers are a revolutionary addition to the world of additive manufacturing and rapid prototyping. With over 61 materials and material combinations to choose from, the simulation of an end-use part will be closer then ever. The Connex Family of 3D Printers presents endless opportunities in design and product development. With multi-material capabilities, this 3D printer line-up produces prototypes that best resemble the end-use product, allowing for catching variances early in the development cycle. With 7 different materials to choose from, including high temperature and clear transparent, the Objet30 Pro is the most versatile 3D Printer on the market.